Jägermeister collaborates with Stroudfoot design to create promotional initiatives for their brand. 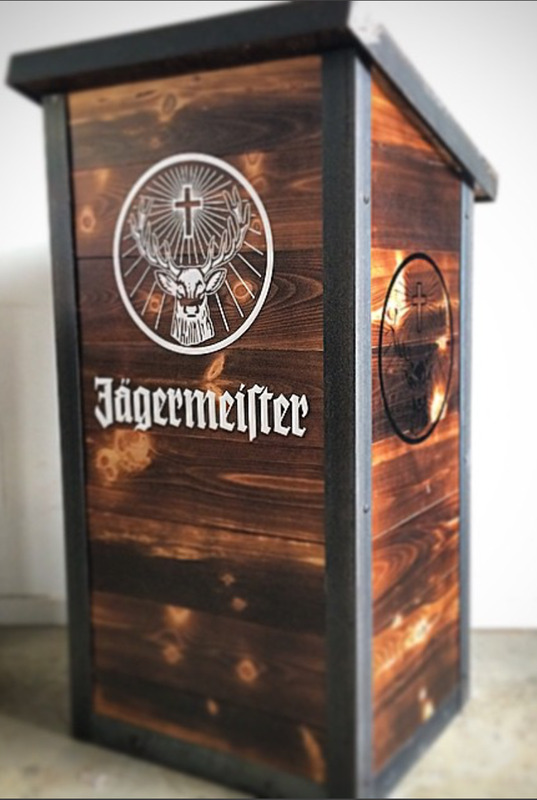 Custom art, signs, furniture and lighting have been designed and built by Stroudfoot to advertise or showcase Jägermeister products in restaurants, bars and trade-shows. The high-quality and originality of the promotional materials crafted by Stroudfoot help to set the brand above their competitors.